Choosing the right company is vital to the successful development of your cell phone/tablet application. Your app must offer the look and feel your clients expect. Adryco Apps will develop a professional application for you with all the functionality you need. We'll manage every phase of the creation process, from design of the icon, screens and buttons to the minutest details of programming code. Have you looked at what you carry in your pocket or purse? Basically, it’s a cell phone! The world has become increasingly mobile, and today, you can access it not only through web pages, but through your cell phone and tablet applications, as well. Everything is possible, from simple marketing applications to promote your company or products to complex apps to facilitate your day to day life! Depending on your needs, we can fully develop your app - from your idea to your mobile device - or we can manage only those aspects you specify: programming, UI, graphic design, etc. No matter what business you’re in, apps can help you: you can use them as job aids or as marketing tools to promote your company to clients in a way that’s practical, economical, innovative and useful. WHAT KINDS OF COMPANIES USE APPS? An app can help supercharge your business, regardless of its size, whether it's a micro-company, a small or medium-sized business or a large corporation. You have an idea, and for much less money than you think, Adryco Apps can transport that idea to the world of cell phones and tablets. WHAT PLATFORMS DO WE WORK WITH? At Adryco, we develop custom applications for every major platform on the market. 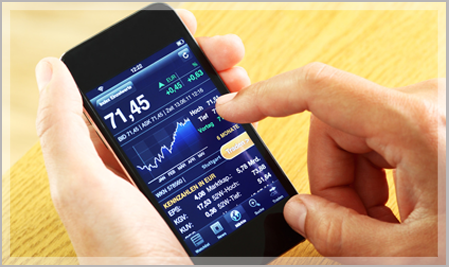 We can develop your application for iPhone, iPod or iPad, or for any type of Android device (telephones and tablets). 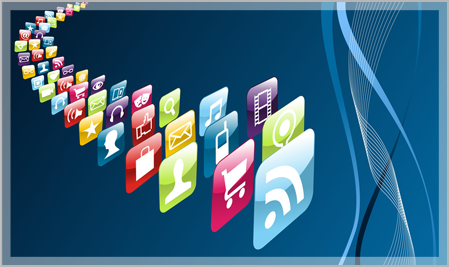 At Adryco Apps, we develop applications in the native platform of each device. By doing so, we ensure maximum product quality, while making the most of each device’s unique functionality. HOW DO YOU GET YOUR APP INTO YOUR CLIENTS' HANDS? So what are you waiting for? Contact Adryco Apps today, and we'll evaluate your idea and give you a no-obligation estimate.